At Sunrise Eye Associates, we do eyes. And when you choose us for your professional vision service and eyewear, you're getting a full-service practice devoted to your family's complete eyecare needs. We see all age groups, from infants at six months of age to adults. 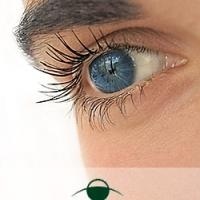 And we provide comprehensive professional services, ranging from routine vision exams and emergency services to the diagnosis and treatment of ocular disease. Rounding out our offerings, we have the widest assortment of today's most-requested frames and contact lenses to accommodate your family's health and lifestyle needs. But there's more to our practice than simply providing quality professional services. We understand that a visit to a healthcare professional can be stressful. That's why we go the extra mile to make you feel comfortable, with a caring staff and an office that's been specially designed to provide a soothing atmosphere. From the moment you walk through our welcoming front door and are greeted by our cheerful receptionist, we help you relax. Comfortable chairs and warmly painted waiting and exam rooms add to the ambiance. And a separate, child-friendly play area - complete with video games, television and DVD player - helps keep the little ones occupied while they're waiting. We want to make every visit to our office as enjoyable as possible.